Salutations! How’s everyone? I’m feeling… well, pretty great over here! 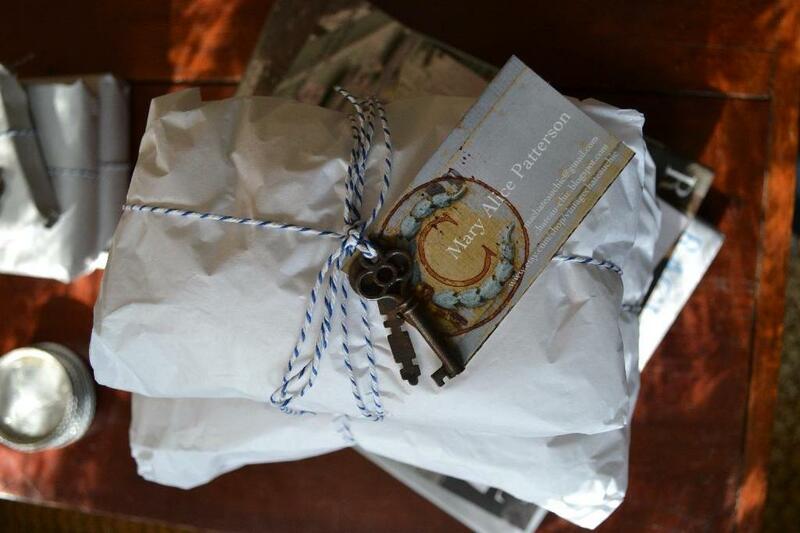 A couple of days ago my package from Mary Alice arrived all done up cute with blue and white string and topped with a couple of vintage keys. I am so saving that string! Mary Alice is just so sweet, come to think of it all of the decorators, chefs, DIY-ers, and followers of blogland are really some of the nicest people. Can you imagine how wonderful it would be if the real world were more like blogland? A land where everyone offered steady encouragement, support, and generous compliments to one another all of the time sounds kinda’ awesome to me! Well, Mary Alice of Chateau Chic hosted a fabulous give-a-way and yours truly was the lucky winner! 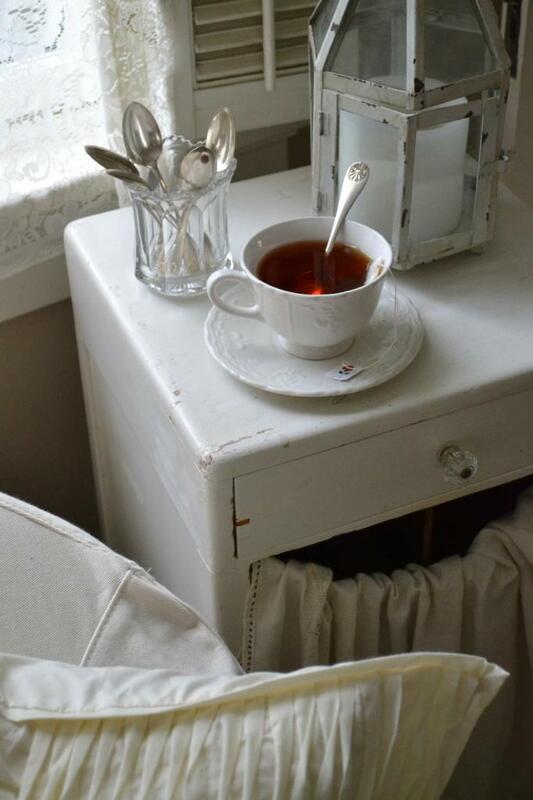 Mary Alice’s blog and home are both so beautiful, filled with French inspired decor, beloved heirlooms, and stunning architectural pieces. She brings it all together perfectly and has created a unique and inviting home. 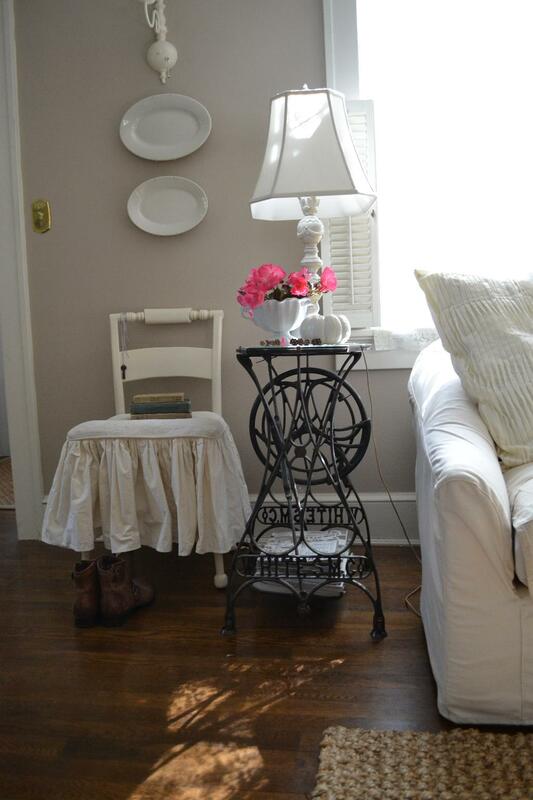 I’m so excited to include these vintage treasures here at Cottage Fix. 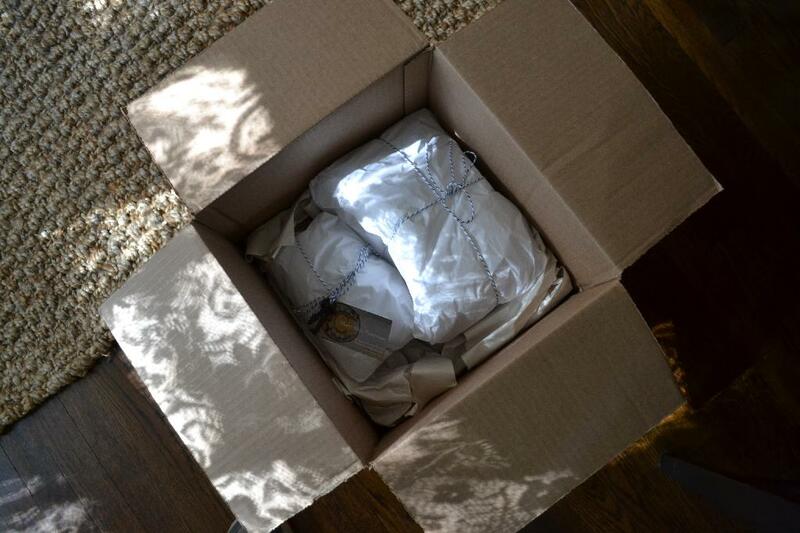 As you can see, she packaged everything so beautifully. Don’t you just love getting something in the mail that has to be unwrapped! 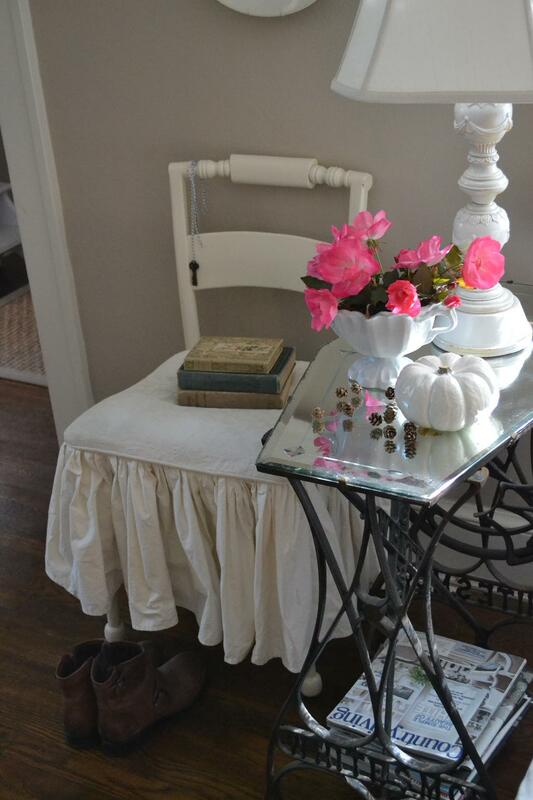 Included was this gorgeous white ironstone compote. 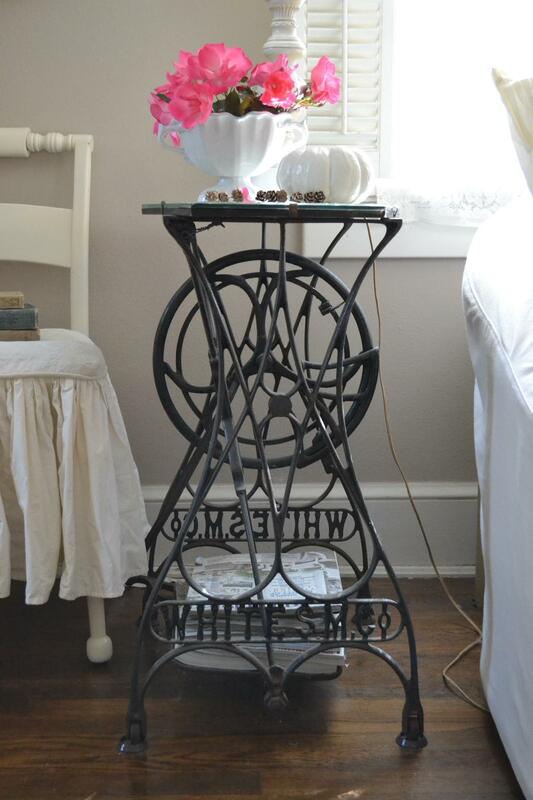 I love the bright white color, it’s not easy to find ironstone that hasn’t significantly yellowed over the years. Can you believe my pink roses have started blooming again! 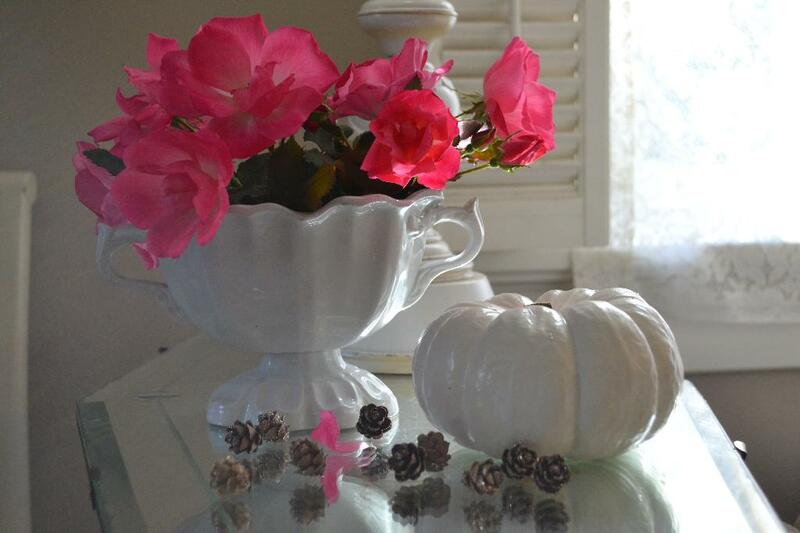 So it’s a mix of summer and fall with pink roses, glitter pine cones, and a white painted pumpkin. And I stacked these vintage books on my skirted chair. The blue and brown color combination is one of my favorites! 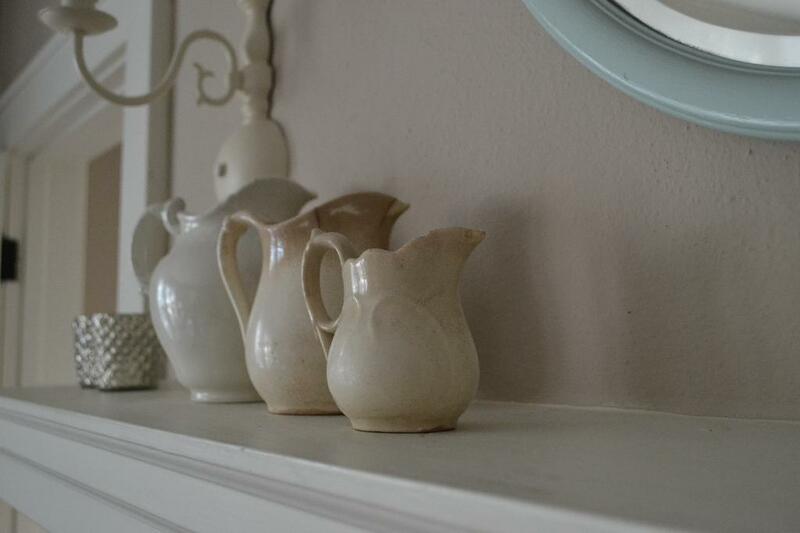 The petite ironstone creamer fits in perfectly with the ironstone I already have on my mantle. It’s almost like I picked it out specifically to go with these! I’ve been on the lookout for nice vintage everyday silverware for a long while now. Aren’t these vintage spoons lovely! What a great find! Merci Mary Alice, the cottage is lookin’ fab filled with all of the vintage goodies from Chateau Chic and feeling a bit French I might add! Oui Oui! 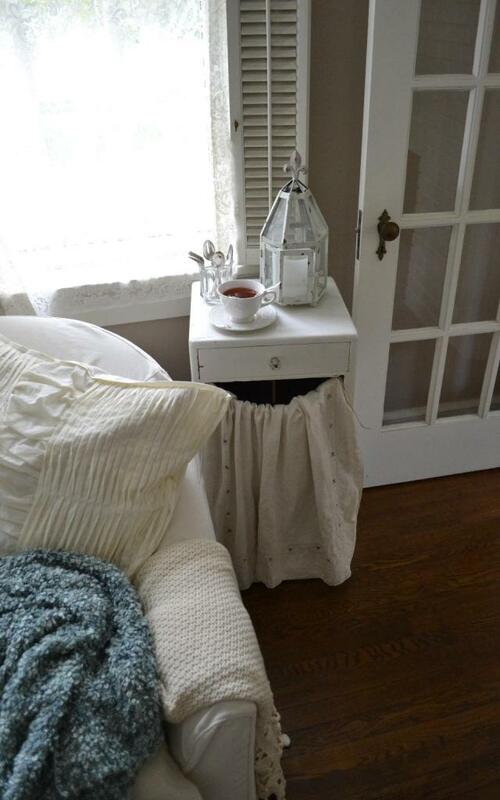 This entry was posted in cottage decor and tagged accessories, cottage, decorating on October 25, 2014 by sally. Oh Sally, what a lovely post! 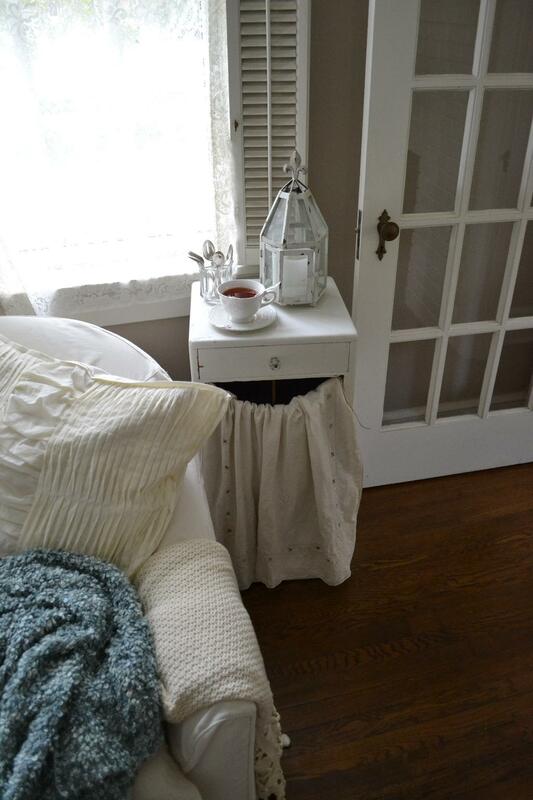 You have everything looking so beautiful in your darling cottage. Thank you for all the sweet and generous comments throughout. Beautiful Sally and congratulations! Your prizes just fit in the look of you home. You lucky girl! That was a great giveaway to win. 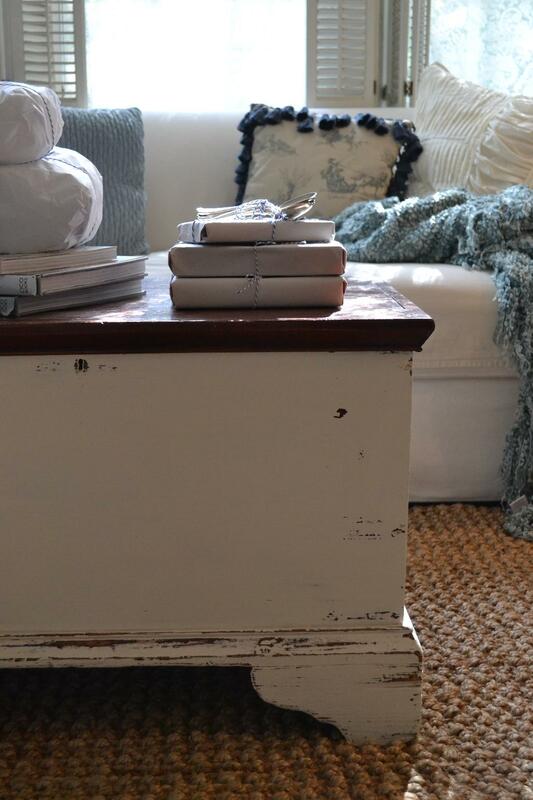 I follow Mary Alice’s blog and always enjoy seeing what latest treasure she has added to her home. She passed along some nice things to you. They look perfect in your home. I agree that it’s so much fun to get something in the mail that is wrapped so pretty. You are one lucky lady! 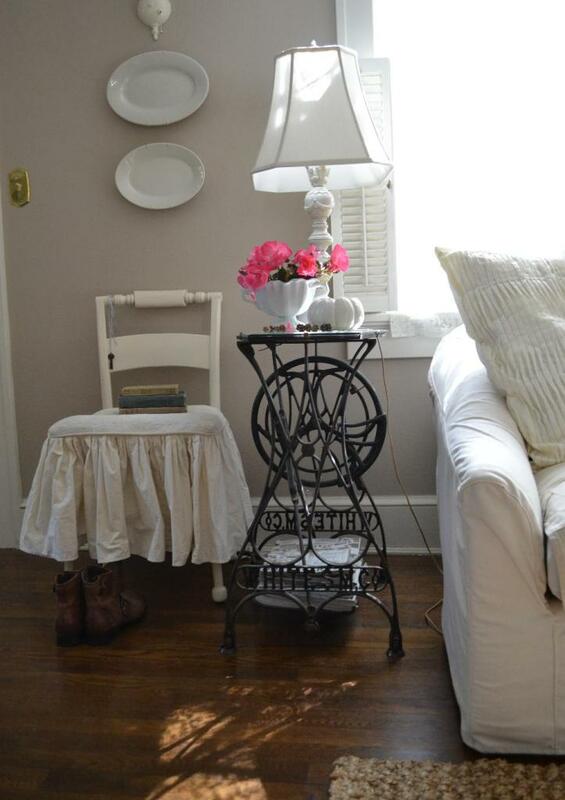 I also love Mary Alice’s blog, and her treasures look absolutely lovely in your home!